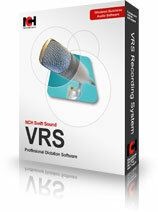 VRS is a professional digital audio recording application for Windows or Linux PCs. This multichannel audio recording software has simple interface making for fail-safe but user-friendly day to day operation. VRS is a professional voice recording application used for telephone line recording, radio station logging, control room recording and much more.